Buddy Scalera is a content strategist and digital pioneer with over 15 years of pharmaceutical multichannel marketing experience. He is an innovative team leader delivering excellence in digital marketing strategy, content engineering, website development, social media, distance learning, mobile marketing strategy, content creation, and content governance. He is a creative problem solver and transmedia writer with experience in journalism, public relations, and vendor management. 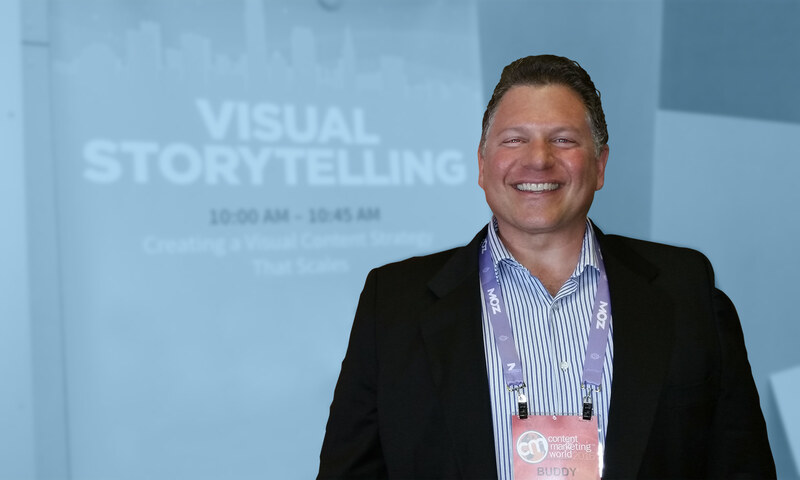 Buddy is an internationally recognized marketing speaker and author of multiple books on visual storytelling. In the 1990s, he launched an award-winning marketing portal on America Online. He nurtured an early social community that published user-generated content. During this time, he learned how to code sites, edit video, develop interactive CD-ROMs, and edit HTML. Buddy continues to work in digital channels to craft compelling digital-health stories and effective distance-learning resources. He has collaborated with a broad range of companies, including IBM, Oracle, Marvel Comics, Content Marketing Institute, MedPage Today, and a range of top pharmaceutical companies including AstraZeneca, Bayer, GSK, J&J, Merck, Novartis, Pfizer, Reckitt-Benckiser, Takeda, andTeva. The Beancast (podcast): Episode: BeanCast 290: WhatsApp Doc?